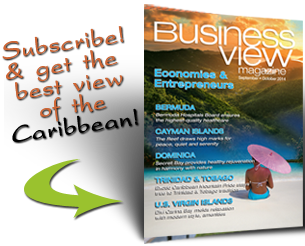 Business View Caribbean profiles Venegas Construction Corporation ,One of Puerto Rico’s premier construction contractors. 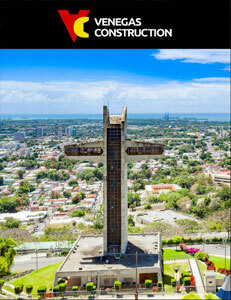 Venegas Construction Corporation of Ponce, Puerto Rico, was founded in 1965 by Emilio J. Venegas. According to his grandson, Emilio R. Venegas, who joined the firm in 2005, and is now being primed to take it over from his father and current President, Emilio M. Venegas, Emilio J. started the company as a succession of Ponce Builders Corp with several partners in order to provide construction services on small projects. A half century later, Venegas Construction has grown into one of the island’s premier construction contractors. Grandson, Emilio R. says that the company grew organically as challenges arose and were met with pioneering solutions. “If you look at our track record, there was a point in time, in 1988; when we acquired the first large scale trencher in Puerto Rico,” he begins. “A trencher is a piece of equipment employed in the construction of underground pipelines in rocky subsurface conditions. At the time it was an innovative, yet risky acquisition. Several years following that, we held a considerable market share of the underground pipeline sector of the construction industry. “In 1990, we employed slip form construction and we poured a silo while moving forms and pouring concrete continuously for nine days.” Slip forming is used for tall structures such as bridges, towers, buildings, and dams, as well as for horizontal structures, such as roadways. Slip forming enables continuous, non-interrupted, cast-in-place “flawless” (i.e. no joints) concrete structures which have superior performance characteristics when compared to piecewise construction that utilizes discrete form elements. “We’re not experts in this, but we learned about the technology, we tried it and delivered it successfully,” he says. “Similarly, in 1992, we self-performed tilt-up construction for the first time without having any prior experience with tilt-up.” In a tilt-up construction project, a building’s walls are poured directly at the jobsite in large slabs of concrete called “tilt-uppanels” or “tiltwall panels.” These panels are then raised into position around the building’s perimeter forming the exterior walls. “In the United States, you have specialty contractors that do just that. We employed it, ourselves,” Venegas says. “In 1993, we built the largest post-tensioned mat foundation in the Americas, here in Puerto Rico.” A mat foundation is a massive type of foundation used to provide load-bearing capacity in expansive, rocky, or hydro- collapsible soils. In addition, compared to many general contractors in the United States, for example, Venegas reports that his company does most of the work itself, rather than relying on sub-contractors. “We self-perform between 50 and 80 percent of our construction contracts,” he says. “Therefore, we own approximately $5 million in property, plant, heavy equipment, fabrication shops, and offices to support our operations. We employ diversely experienced, licensed engineers; all of them have over 15 years of construction experience and a few of them have over 30 years.” Depending on the company’s workload, Venegas Construction generally employs between 150 and 600 workers. As Venegas Construction begins its next period of development and expansion, Venegas reflects on what has made the company so successful in the past and how this new generation of leadership plans to continue that same trajectory. “We did not become a specialty contractor to do our projects,” he says. “We just learned, educated ourselves, got the necessary equipment, and did it successfully. And we gravitated to these challenges. We like them. And you see that trend throughout our entire timeline. I love that about this corporation. When a new sector comes up, we’re usually ahead of the learning curve. Then the market gets saturated and we move onto a new challenge. Innovation paired with continuity – it’s the winning formula that should guarantee another 50 years of growth and prosperity for this venerable Puerto Rican construction company begun and sustained by the Venegas family. 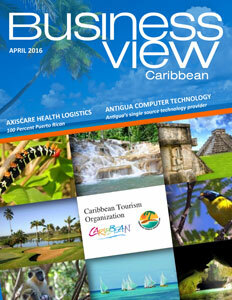 Check out this handpicked feature on The RG Group of Companies in St. Lucia.